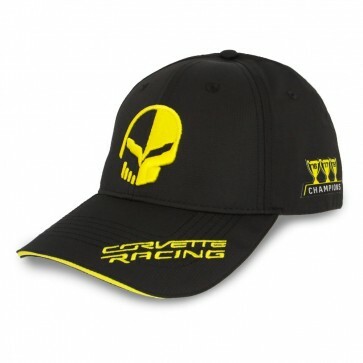 Celebrate 3 consecutive years as Team and Driver Champions in our Corvette Racing Champions cap. "Jake" is embroidered on the front. Corvette Racing logo with Champions Trophies for 2016, 2017 and 2018 embroidered on the left side. 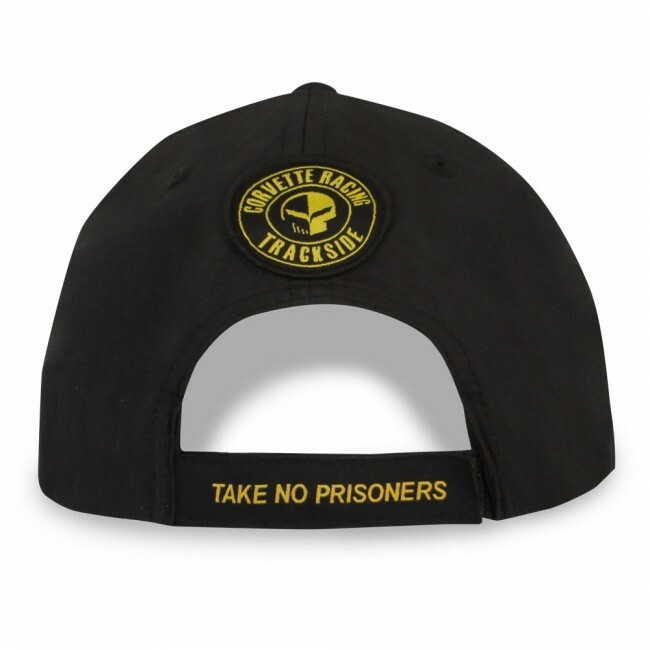 Features a Trackside Emblem patch on the back and "Take No Prisoners" on a Velcro® strap closure. Imported.